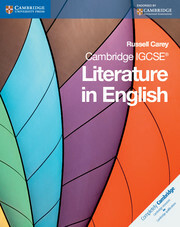 Cambridge IGCSE Literature in English is a lively introduction to the study of literature in English at IGCSE level, encouraging both the enjoyment of literature and rigorous academic study. 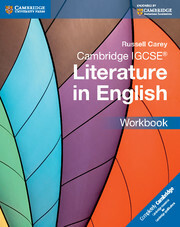 The coursebook is endorsed by Cambridge International Examinations and provides comprehensive coverage of the Cambridge 0486 and 0476 syllabuses and supports related courses. 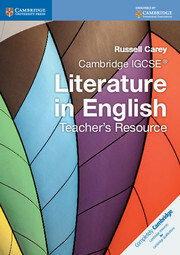 In keeping with the spirit of the Cambridge IGCSE syllabuses courses, Cambridge IGCSE Literature in English stresses the importance of giving an informed personal response based on close textual study.Cambridge IGCSE Literature in English contains a range of stimulating literary material from around the world, including extracts from plays and prose fiction, as well as complete poems. Features structured activities that build students' key skills in responding to literature. Guidance on developing effective writing skills to express ideas clearly. Sample student work, giving a range of possible answers to read and review. Tips on study skills, do's and don'ts, and important things to note. Quick recap boxes, summarising the key teaching points in each section. Key terms boxes in the margin for easy reference, as well as a full glossary. Link boxes to highlight where one area of study links to another. Further reading boxes with ideas for other texts to explore. Extension boxes providing ideas for additional, more challenging activities.